alaTest ha raccolto ed analizzato 330 recensioni su LG L90 Dual D410. La media della valutazione per questo prodotto è 4.1/5, confrontata con la media della valutazione di 4.3/5 per altri Cellulari. Abbiamo analizzato differenti valutazioni di esperti ed utenti, età del prodotto ed altri elementi. A confronto con altri Cellulari, LG L90 Dual D410 ha ottenuto un alaScore™ complessivo di 85/100 = qualità Molto buono. The LG L90 Dual is a surprisingly good dual-SIM option under Rs 20,000. And best of all, there isn't a single competitor in this segment that can match its feature set. LG's L series of smartphones have gained much needed popularity because of their quality build and budget friendly price. The LG L90 Dual is their latest flagship and we will know all about it in our full in-depth hands-on LG L90 Dual review. 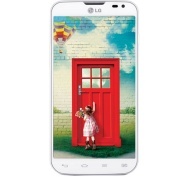 LG L90 Dual is the latest smartphone from the brand, It comes with Knock Code feature and Dual SIM support. Good one.I would suggest to buy this mobile.. Excellent 1GB RAM phone for the price. Amazon service is top class as usual. Pretty good phone for the price . Those used to 2GB RAM will find the 1GB phone response to be slow when multitasking. Good seller and prompt delivery. I recommend black color. Excellent product in cheap price. You can go for it.